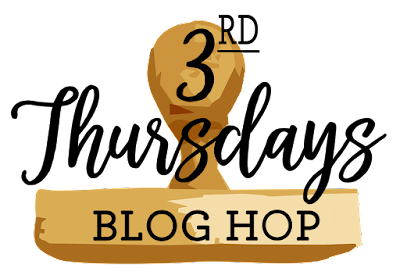 Welcome once again to our Third Thursdays Blog Hop! This month our theme for the hop is Sale-a-Bration SECOND Release! 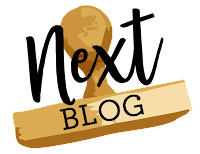 We have several NEW Sale-a-Bration FREE Items that have been added for your selection RIGHT NOW...as well as some Sale-a-Bration Coordination DIES and A PUNCH that will be available for purchase March 1st!!! 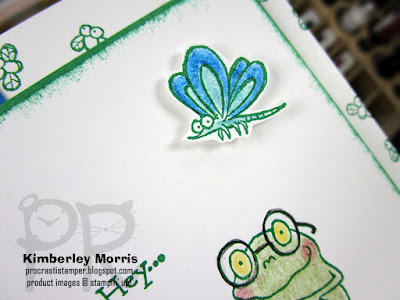 I tried to keep this card pretty simple...it started out as a Call Me Clover monochromatic card, but I decided to add the Watercolor Pencils, and a bit of Pacific Point Cardstock to give it just a bit more dimension. It might be hard to see from the lighting, but the wings of the little dragonfly bug, and the frog's glasses, both have a little bit of glimmer from the Clear Wink of Stella Glitter Brush. 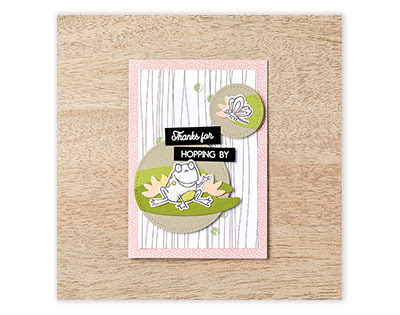 The NEW Hop Around Framelits Dies, shown above, will coordinate with the FREE Sale-a-Bration So Hoppy Together Stamp Set. 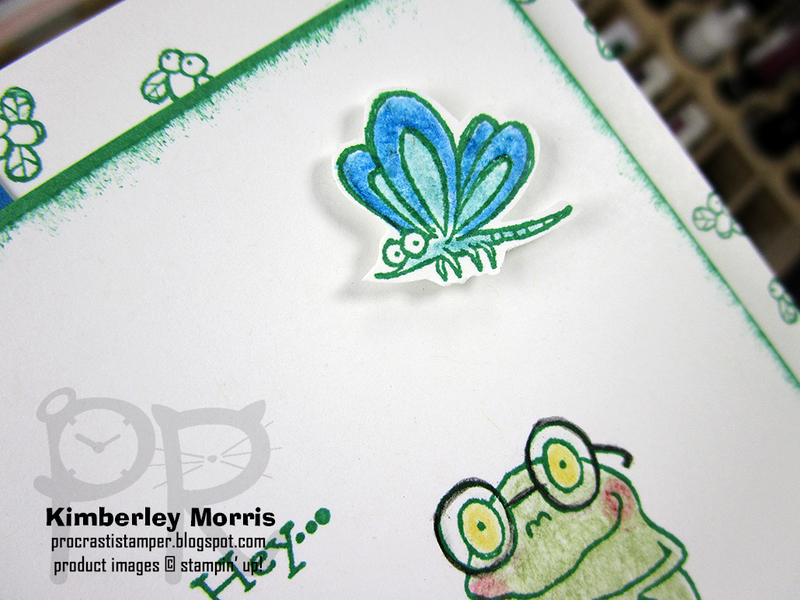 I "fussy cut" the little dragonfly bug on my card, but you can see there is a die that would cut that out FOR you! 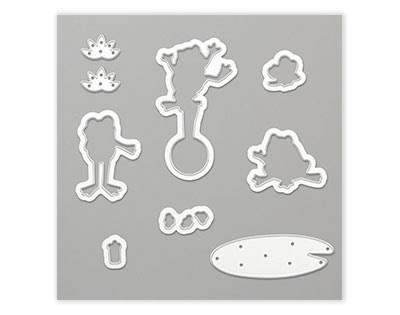 There are also some extra dies that will help you create lily pads for your frogs. 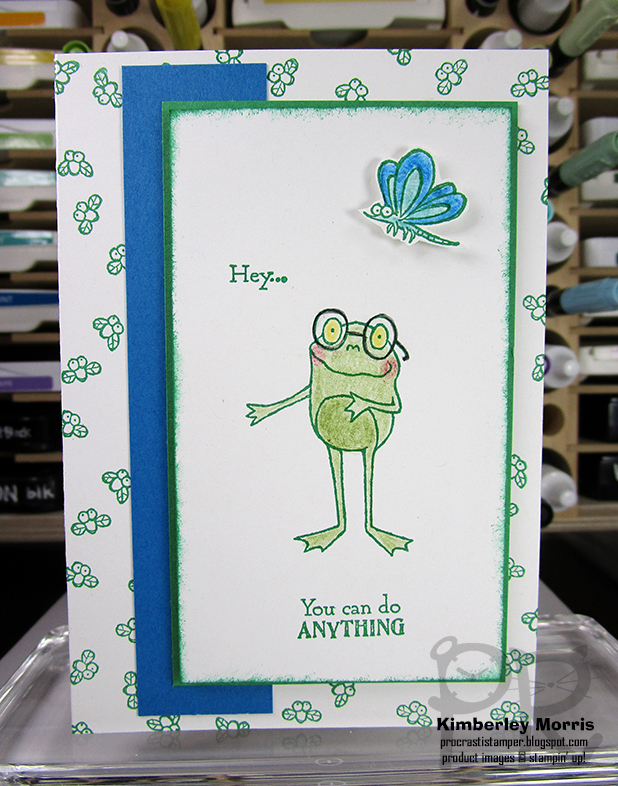 Below is a sample card made using the dies, as well as a NEW More Than Words Stamp Set that will have some fun froggie phrases like "hopping by" and "jumping in". Again, the coordinating dies (and stamp set) will not be available until March 1st, but you can still buy the products I used on my card today to qualify for your FREE So Hoppy Together Stamp Set, and get started with your "hoppy" creations right now! Stampin' Supplies: So Hoppy Together Stamp Set (FREE Sale-a-Bration Item), Whisper White Notecards & Envelopes, Whisper White Cardstock, Pacific Point Cardstock, Call Me Clover Cardstock, Call Me Clover Ink Pad, Watercolor Pencils, Clear Wink of Stella Glitter Brush, Stampin' Sponge, Stampin' Dimensionals, Mini Glue Dots, SNAIL Adhesive, Paper Snips, Stampin' Trimmer (for cutting & scoring), Simply Shammy (to clean stamps).